My boys are always excited every time they hear a motorcycle stopped by our gate. It means there is a package for Momi Berlin. My Little Man loves opening packages and even gets used to taking photos as he opens the boxes. Which makes me think, what makes a courier reliable in order for companies and even individuals to book and consider them? I also had the chance to book for a courier service. I’ve tried a number until I settled on the one I preferred the most. And I would recommend this courier for a start-up company and even established ones. This courier service is great for online sellers, independent contractor, and just to anybody who would want to ship an item to friends and relatives. Just like getting an employee, we always look for reliability. We always opt for someone who is trustworthy and can perform consistently. This is the same in booking for a courier. We always prefer a courier service company that will guarantee our packages arrive undamaged and on time. Imagine sending that last minute gift to a loved one? The speed of delivery is critical. Thus it turns me on when the courier company can get an urgent package in an hour or less. This happens to me a lot of times. I just conveniently book pickups on my desired date and if I was able to book before its 2 pm cut off time, I am guaranteed for the same day pick up of my items. And take note, pickups of items are free of charge and I don’t need to go elsewhere to ship the items. This goes the same with multiple transactions. My package will be delivered the next day if within Metro Manila. For provincial deliveries, it is within three to four days. In terms of speed, I may say my favorite courier is one of the fastest courier service companies in Manila. Perhaps, the reason it is named Zoom Courier. My preferred courier offers the cheapest door to door service. Its fees are so affordable and it got the lowest shipping fees. It is because it uses a standard delivery rate payment. Its rate is based on the pouch that one will use regardless of the size of the item and weight. It ships without additional fees, too. I also like that my favorite courier service offers cash on delivery (COD) option for Metro Manila and GMA buyer at only 40 pesos. Imagine some buyers who do not like to pay the seller before getting first the product? Not all courier services allow COD. This kind of payment allows the buyer to pay at the time of delivery instead of having to pay upfront. The buyer remits payment to Zoom Courier Inc. which then relays the payment back to the seller. For this kind of transaction, the payment is deposited to the shipper’s account two to three banking days. It helps that a courier service has a reliable online tracking system, too, to check for status updates. One of the best features of my favorite courier is that it sends a notification to both the seller (shipper) and buyer (consignee) of the confirmed pick up date and delivery date. One also gets a notification with the name of the rider. And one could get all that either through email or text. Likewise, customer service is available via mobile, email, and Messenger. When I did my booking a few weeks ago, my rider mentioned that aside from free shipment, I also got a free package insurance for my items declared at P1000 below. Zoom Courier also has a very low fee for items above P1000. Yes. 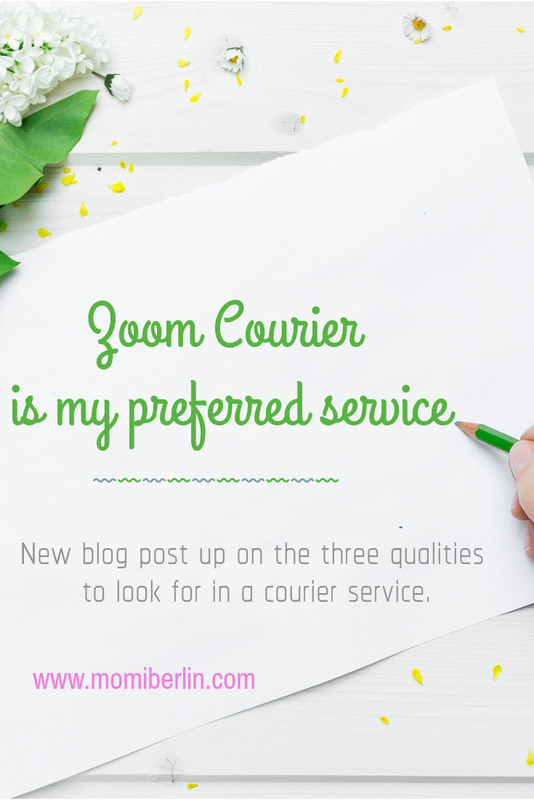 Zoom Courier is my preferred service. It is because it hasn’t failed me yet. And I am confident it will never fail me. I learned of Zoom Courier through a mommy friend who makes matchy clothes for moms and their sons. I was impressed by how fast, reliable, and courteous its riders were. So when I had something to send to friends, I tried Zoom Courier and since then never switched to other services. Zoom Courier is already two years in operations. It aims to be the leading courier service provider that makes transactions across distances faster. Thus perhaps it very well lives up to its mission to provide customer-driven quality service that truly enables individuals and businesses to move faster. So on your next booking, try Zoom Courier. Its website is too easy to navigate you will be done in minutes. Hi! This will be my first time booking with Zoom. I just wanna know how can I have their pouch for me to pack my products for pick-up? Can you help me out? Thanks in advance!